Yokohama, 1963. Japan is picking itself up from the devastation of World War II and preparing to host the Olympics. Against this backdrop of hope and change, a friendship begins to blossom between high school students Umi and Shun --- but a buried secret from their past emerges to cast a shadow on the future and pull them apart. 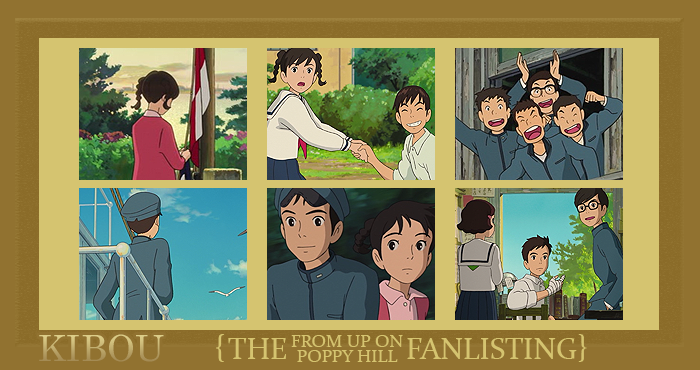 Kokuriko-zaka Kara and all related characters belong to Studio Ghibli.